We partner with comprehensive financial advisors and insurance professionals. We specialize in providing unmatched insurance expertise, service, and solutions to our partners and their clients. 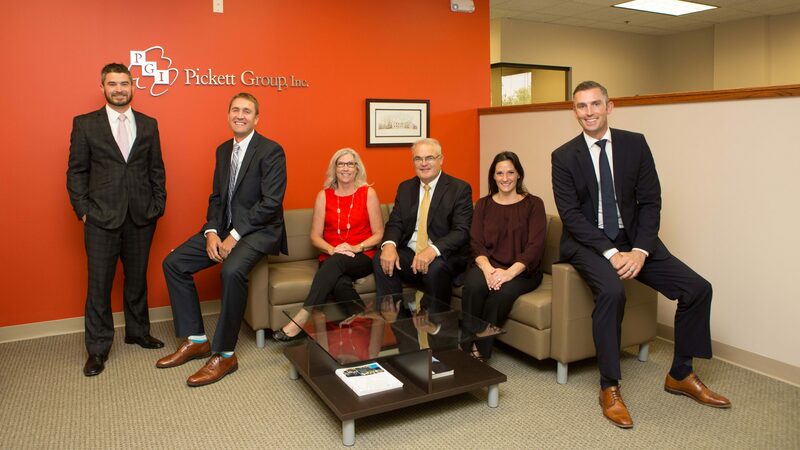 At Pickett Group, we partner with advisors and insurance professionals whose core business is not life insurance. Our mission is to allow our partners to focus on what they do best while offering unmatched life insurance expertise, service and solutions to their clients. Solutions for individuals looking to: Protect their family, supplement their retirement plan, legacy planning, charitable planning and/or Tax Planning. Solutions for business owners looking to: Protect their business, Succession Planning, Buy-Sell, Key-Person, Executive Benefits, NQDC, Voluntary Benefits and/or Tax Planning. Solutions for Individuals and Business Owners looking to: Protect household income, Business Buy-Sell, Key-Person, Salary Continuation and Business Overhead expense. Solutions for Individuals and Business Owners looking to: Prepare for the potential financial and emotional impact on loved ones/family members when receiving Long-Term Care. Unique Solutions for Individuals and Business owners: Premium Financing, Life Settlements, High Risk, Critical Illness, AD&D and more. The wonderful team at PGI really understands our core values and recognize how serious we take advising our clients. Functioning as an extension of our core management team, PGI brings resources and expertise that allow us to perform at a level superior to our competition. Our partnership is over 15+ years old and we look forward to the continued successes PGI has helped bring to our agency. The Pickett Group is our “go to” organization for all questions relating to life insurance for our clients. The value of working with Pickett Group is knowing that we have a team of experts on our side. They are always quick-to-respond, make us feel important and guide us to improve the solutions we offer our clients. I have been doing business with the Pickett Group for 20+ years. They are always professional and make my job selling and processing new business easy. Service, Service, Service! © 2018 Pickett Group, All Rights Reserved. Pickett Group, Inc. is not affiliated with The Leaders Group, Inc.